1. You love the ZX Spectrum. 2. 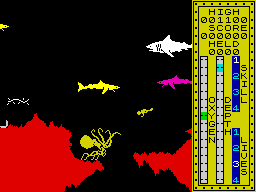 You think Scuba Dive is a brilliant game. 3. You like wide pictures that feature big patches of red!